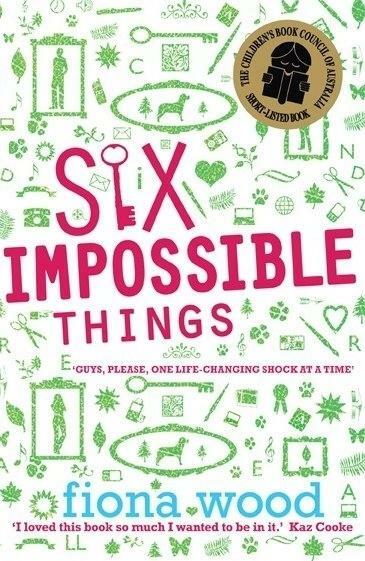 Leanne Hall talks to Melbourne TV writer turned YA novelist Fiona Wood about her debut YA novel Six Impossible Things. Dan Cereill is a wonderful narrator - funny, wry, sensitive and angsty - how did you get into the head of a teenage boy so effectively? Dan was tapping at my shoulder when I was supposedly writing something else - a film script. I started writing bits and pieces of him down. He was so much himself from early on that I soon turned my focus to constructing a story for him. The film script still isn’t written. My own children are a bit older than Dan now, but I’ve been surrounded by the concerns and interests and music and sense of humour of their friends and that age group for a while, so that felt very accessible. The mother-son relationship in the book is very important. At the beginning of the book Dan and his mum are both shell-shocked over the sudden changes in their lives. At times they clash with each other, but I always felt I got a fair view of how both were feeling and acting. Was it difficult to get this balance right? The balance comes from Dan. He is having a hard time, and his mother is worrying him and annoying him, but because he is sensitive, he can’t avoid knowing what she’s going through. Helped by a bit of judicious eavesdropping. Because I wanted his concerns to be valid, his mother, Julie, had to be a character we could believe in, or why would we share Dan’s concerns about her? So I wanted her to feel real, but also put her in a frame of mind in which she’s not really available to Dan, so he’s pushed into having to work out his own problems. There’s a large cast of very endearing and compelling characters in Six Impossible Things. It’s difficult for me to imagine that these people aren’t actually real and living in Melbourne even as we speak. How much of it is based on real life people, places and experiences? It’s all a combination of real and imagined things. In terms of place, it’s Melbourne, and there are things like trams, the Yarra River, Gertrude Street, the Botanic Gardens and the Tan track, but the schools and the house and the local shopping strip are imaginary. Café Phrenology was inspired by Sugardough in East Brunswick. And I have stuff like Dan remembering his mother playing The Go-Betweens in the car on the way to school, because that beds it down for me in a time and place. One of the things I put into rewind is the cactus house in the botanic gardens. In the book Dan gets spiked by a cactus, which couldn’t happen these days, because they’re all behind glass, but not so long ago they were free range, and the story needed them to be like that. The teenagers in your book get up to some quite naughty things, such as sneaking out and lying to their parents. What was the naughtiest thing you did as a teenager? I was generally quite quiet, shy, and not too naughty, but I did have a bad Year Nine. I was suspended from school twice, once for setting fire to a curtain in an excursion bus with a cigarette, but it was an accident, not arson or anything. And, like Dan, I believed that parents don’t really need to know everything. There was plenty of stuff I didn’t tell my parents. But I expect my children to tell me everything. Which of course they don’t. Six Impossible Things is full of references to the various characters' tastes in music, film, books and clothes. Dan in particular believes that it’s very significant that he likes the same music as his crush Estelle. How important is music in your life and your writing process? It’s important. I’ve never lost the teenage habit of being able to completely fall in love with a song and listen to it over and over again. I had quite a few lyrics in the book in an earlier draft, but took them out because it ends up being quite expensive to get permission to use them. One was from an old Matt Walker song, and it summed up perfectly for me the way Dan felt about Estelle – he was smitten, he knew her, but he didn’t know her: ‘You’re a far away land/You lived once upon a time/You are a rumour that I strain to prove.’ The book I’m writing now is about betrayal, and my theme song for it is The Art of Fighting’s ‘Where Trouble Lived’. Even though these associations are very strong for character and story, I never have music playing while I’m actually writing. I have music breaks when I go for a walk. And I’m not obsessed with Thom Yorke, as Dan’s mother is, but he truly can do no wrong in my eyes. You have worked as a scriptwriter on many great Australian TV shows. What inspired you to write a young adult novel, and did you find writing it very different to script writing? I loved reading so much when I was in this age group. It’s a complete giving over of yourself to the book, which is harder to experience as you get older. So it’s a wonderful readership for that reason. I’m working on another young adult novel now, and I still enjoy reading YA. It’s so different from script writing, and I had a lot to learn, over a number of drafts. One craft element that I bring from scriptwriting is a respect for story structure. I worked hard at getting a sense of narrative pace into what is quite a gentle story, and it sounds basic, but every story strand, and every relationship is worked out with a beginning, a middle and an end. There are lots of big pieces of paper and arrows involved. I’m not the sort of writer who can set out not knowing where the story is going. I want to know it scans before I spend lots of time with it. Despite having a basic framework, there are still plenty of surprises along the way.